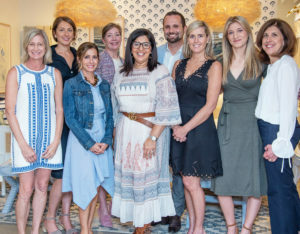 On a bright, beautiful day last week—when, appropriately, the first breath of summer seemed to be in the air—the Design NJ team spent a lovely morning at the Serena & Lily shop in Summit. 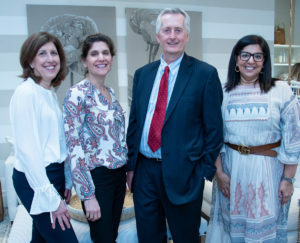 We were pleased to partner with the home furnishings retailer to host area designers for a tour of the company’s newest location. 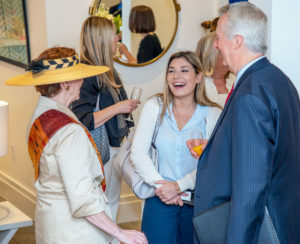 We mingled with some of New Jersey’s top design professionals, enjoyed refreshments provided by local caterer What A Dish, and got a look at Serena & Lily’s new summer collection. 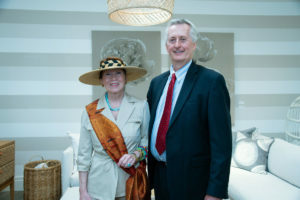 Here are some images from the day. 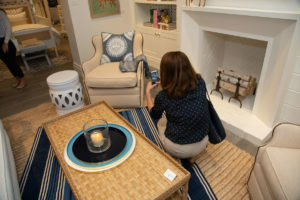 The showroom, newly decked out in soothing neutrals with plentiful pops of blue, has a relaxing, summery vibe (captured by many designers to show clients later). 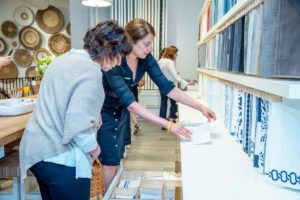 Design NJ’s Editor-In-Chief, Ren Miller, spoke with designer Tess Giuliani…..
…and shared a laugh with Tess and design intern Rachel Norris. 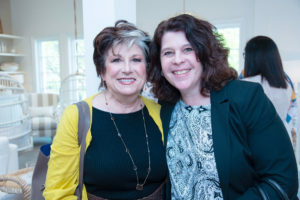 Designer Karla Trincanello with Design NJ staffer Liz Reingold. Designer Sheila Rich and Serena & Lily’s Davida Sidrane Hogan looked through swatches. 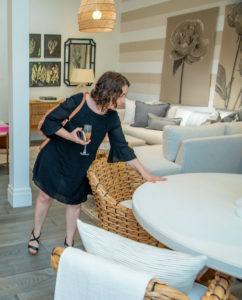 Designer Julie China got a close-up look at some summer furnishings. 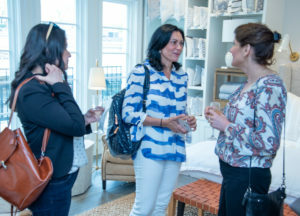 Design NJ Assistant Editor Marirose Krall (right) caught up with designer Danielle Palmadessa (center) and her colleague Maria Koundourou. The talented team from Serena & Lily—it was great working with you! 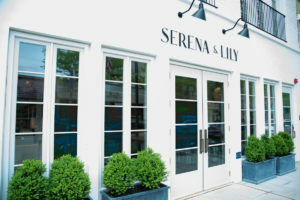 For more on Serena & Lily’s history, locations and product line, go to our grand opening blog.